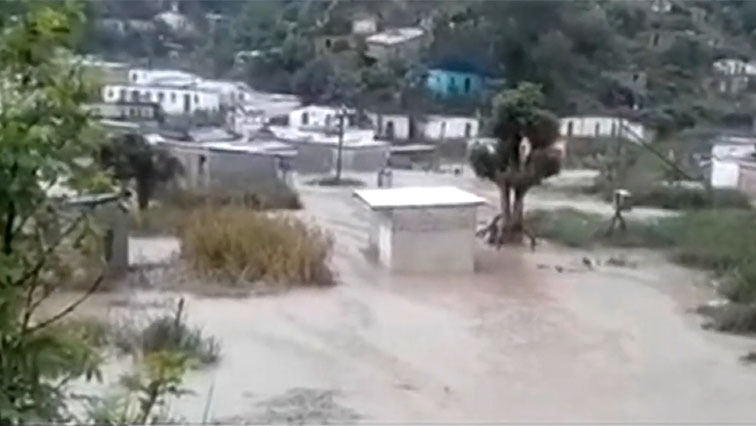 Johannesburg – The number of cholera cases among survivors of a devastating cyclone in central Mozambique has jumped to 139, officials said, as nearly 1 million vaccine doses are rushed to the region. The Portuguese news agency Lusa reported the number late Thursday, citing national health official Ussein Isse, who had declared the outbreak a day earlier with just five confirmed cases. Cholera is a major concern for hundreds of thousands of survivors now living in squalid conditions in camps, schools and sodden homes. The disease is spread by contaminated food and water, causes acute diarrhoea and can kill within hours if not treated with oral rehydration solution or intravenous fluids in severe cases. The World Health Organization has warned of a "second disaster" if waterborne diseases like cholera spread. On Tuesday it said 900,000 oral cholera vaccines were on their way. "You can imagine how much we are sitting on a water and sanitation ticking time bomb," the secretary-general of the International Federation of Red Cross and Red Crescent Societies, Elhadj As Sy, told The Associated Press last week after visiting a school where 3,000 survivors were sheltering with only six toilets between them. Some of the hardest-hit communities remained cut off from aid 15 days after Cyclone Idai roared in. They are relying on heavily polluted water, the International Committee of the Red Cross said Friday, adding that clear water and medical supplies are urgently needed. Even in the port city of Beira, the hub of international relief efforts, some of its 500,000 residents have resorted to drinking stagnant water by the side of the road, increasing the chances of diarrhoea, the medical charity Doctors Without Borders has said. Others are drinking from contaminated wells. The aid group has seen hundreds of cases of acute watery diarrhoea this week. The death toll in Mozambique inched up to 493 on Friday, with at least 259 dead in Zimbabwe and 56 in Malawi. Officials have warned that those numbers are preliminary and final figures may never be known. Some bodies have been found and buried without being registered with authorities. Others were washed away. As the floodwaters continue to drain, more bodies are expected to be found. Mozambique President Filipe Nyusi on Thursday announced that the search and rescue phase had ended. He also declared that health care would be free for residents in cyclone-hit areas until the end of the year, Lusa reported. The United Nations has said some 1.8 million people need urgent help across the sodden, largely rural region. Hunger is another growing concern, as the storm wiped out crops on the eve of harvest. Officials have found a slender hope in the weather report, which appears free of rain for the next several days. The South African Air Force has dispatched helicopters to assist with rescue operations at Port St Johns in the Eastern Cape province. The post Air Force dispatches rescue teams to Port St Johns appeared first on SABC News – Breaking news, special reports, world, business, sport coverage of all South African current events. Africa's news leader..